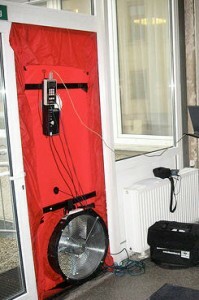 What to expect during your energy audit. 1. The audit begins with an exterior view of the home, all items are thoroughly viewed, measured and a sketch of the home is created to gather all of the important information. 2. The second step begins with an interview with the homeowner to discuss any issues or areas of concern that the homeowner might be aware of. (Example: hot or cold areas, moisture or mold issues, drafty areas of the home, etc.) It would be a good idea for the homeowner to have the last 12 months of utility bills for analysis by the energy auditor. 4. A visual inspection of the interior, attic, basement/crawl space do determine insulation levels and to look for any potential weatherization issues. 5. A blower door test will be performed to determine and locate air leakage pathways, in conjunction with a inferred thermal camera all air leaks are mapped out for air sealing at a later time. We will also check and test the furnace/air conditioner duct system to determine leakage. 6. A test will be run on the combustion appliance zone to determine that combustion appliances are venting properly and that they are not spilling combustion gases under worst case conditions. 7. At this point we can let the client know what our findings are and give them a rough idea of the recommended weatherization measures that will benefit the homeowner. 8. All of this information will then be entered into a software package to determine the cost effectiveness for weatherization work. A report will be generated and presented to the customer, generally with a day or two. 9. At this point the homeowner can make a determination based on the cost and the simple payback of the potential energy retrofit. If the homeowner has any questions before, during or after the energy audit, please feel free to let us know. We will be happy to take the time to explain anything that you need additional information or an explanation of. A house is made up of components that work together to form an integrated system. The performance of one component depends on its relationship with other components in the same system. Your home's ventilation and heating components, construction materials, their assembly and the behaviour of occupants all interact – a change to one affects all others. Your high-efficiency furnace won't run at peak performance without adequate weatherstripping around windows and doors and sufficient insulation in the walls and attic. Investing in the proper sealing of the home can provide the right kind of conditions to allow the realization of substantial savings. New high-efficiency windows won't prevent your home's condensation problems if they are improperly sealed or insulated, the humidifier on the furnace has not been adjusted or if kitchen and bathroom exhaust fans are rarely used or are improperly vented. A properly functioning home incorporates airtightness and good ventilation. An EnerGuide rating service energy advisor makes sure that any recommended upgrades will take both these factors into account as well as other components of the house as a system, thereby ensuring the health and safety of the occupants. All energy advisors that have been certified through the EnerGuide Rating System know how house components work together to achieve a superior level o energy efficiency and indoor comfort. This includes the ability to assess how a home will use energy and which areas may need improving. Adjustments or upgrades are only recommended after considering their influence on other aspects of the house system and how those upgrades can reduce costs elsewhere. What does the EnerGuide rating label tell me? Anyone can claim that a house is energy efficient, but an EnerGuide rating label proves how efficient it is. The label gives you an estimate of the electricity, natural gas or oil that you can expect to consume each year. But remember that energy consumption estimates are just that – estimates. The estimate for your home is based on a number of standard assumptions, such as a family of four living in the home and specific thermostat settings and usage rates for hot water, lighting and appliances. A one-point improvement on the EnerGuide rating scale typically reduces your home's energy consumption by 3 to 5 percent. Remember to ask about what options are available to you. Are there any other benefits to having an EnerGuide rating? 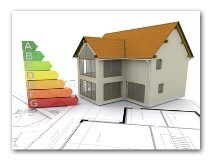 Homeowners are aware of high energy prices and are beginning to value evidence of energy efficiency. The EnerGuide rating label gives you that evidence. And when you are ready to move on, you will be selling a home with proven efficiency, with a rating backed by the Government of Canada. By choosing energy efficiency options, you will also be making a choice to help protect our environment. By using less energy, you reduce the greenhouse gas emissions your home produces that contribute to climate change.